Azerbaijan’s state-owned SOCAR company has won a tender for providing the new Istanbul airport with fuel. The company participated in the tender under the brand name SOCAR Aviation. Murat Erdogan, director of SOCAR Turkey, says that the company will provide the airport with 700,000 tons of fuel annually for 5 years. Erdogan noted that once the new airport starts operating at full capacity, it will account for 60 percent of the national aviation’s fuel demand. After the start of full-scale operation of the STAR refinery in Turkey, the plant will produce 1.6 million tons of jet fuel annually. Despite SOCAR’s presence in the aviation market of Turkey since 2013, the company managed to enter the top 3 largest suppliers of fuel to the country’s aviation sector. SOCAR began supplying fuel to Turkey by signing a major agreement with Pegasus. From 2019, SOCAR Aviation is already providing half of Sabiha Gokcen airport’s fuel demand, and also supplies airports in Izmir, Bodrum, Antalya, and Dalaman with fuel. 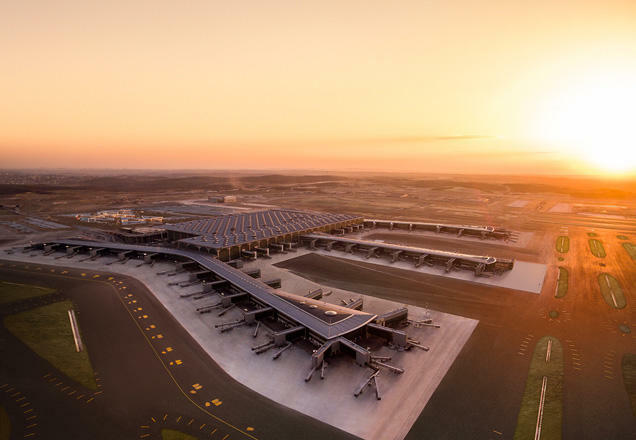 The opening ceremony of the new airport in Istanbul, costing 10 billion Turkish liras, was held October 29, 2018. The third airport was built near the Lake Terkos in northern Istanbul. Limak-Kolin-Cengiz-MaPa-Kalyon consortium of companies won the tender for construction of the airport. Azerbaijani state oil company SOCAR carries out its activity in Turkey through SOCAR Turkey. SOCAR Turkey’s market value is around $11 billion owing to the recent investments. SOCAR Turkey’s share in SOCAR constitutes 35 percent. Meanwhile, 5,000 people work in the company, while the export potential reaches $3 billion. The company has a controlling stake (51 percent) in the Petkim petrochemical complex on the Aliaga peninsula since 2008 and owns the STAR oil refinery. This year, SOCAR will start construction of a new petrochemical complex in Turkey.The enterprise is expected to be commissioned at the end of 2022. Moreover, SOCAR will establish a petrochemical research and development (R&D) center in Turkey by 2020. Construction will start this year. R&D center will focus on the development of petrochemical products, materials, and energy efficiency, as well as wastewater treatment technologies. Investments of the SOCAR in Turkey will reach approximately $20 billion in the future.